There are other living organisms around us which we cannot see with eyes alone. These are called microorganisms or microbes. These observations show that water and soil are full of tiny organisms, though not all of them fall into the category of microbes. These microorganisms or microbes are so small in size that they cannot be seen with the unaided eye. Some of these, such as the fungus that grows on bread, can be seen with a magnifying glass. Others cannot be seen without the help of a microscope. That is why these are called microorganisms or microbes. Microorganisms are classified into four major groups. These groups are bacteria, fungi, protozoa and some algae.Viruses are also microscopic. They, however, reproduce only inside the cells of the host organism, which may be a bacterium, plant or animal. Common ailments like cold, influenza (flu) and most coughs are caused by viruses. Serious diseases like polio and chicken pox are also caused by viruses. Diseases like dysentery and malaria are caused by protozoans whereas typhoid and tuberculosis (TB) are bacterial diseases. Microorganisms may be single-celled like bacteria, some algae and protozoa, or multicellular, such as algae and fungi. They can survive under all types of environment, ranging from ice cold climate to hot springs and deserts to marshy lands. They are also found inside the bodies of animals including humans. Some microorganisms grow on other organisms while others exist freely. Microorganisms like amoeba can live alone, while fungi and bacteria may live in colonies. Microorganisms are harmful in many ways. Some of the microorganisms cause diseases in human beings, plants and animals. Such disease-causing microorganisms are called pathogens. Some microorganisms spoil food, clothing and leather. Let us study more about their harmful activities. Pathogens enter our body through the air we breathe, the water we drink or the food we eat. They can also get transmitted by direct contact with an infected person or carried through an animal. Microbial diseases that can spread from an infected person to a healthy person through air, water, food or physical contact are called communicable diseases. Examples of such diseases include cholera, commoncold, chicken pox and tuberculosis. When a person suffering from common cold sneezes, fine droplets of moisture carrying thousands of viruses are spread in the air. The virus may enter the body of a healthy person while breathing. There are some insects and animals which act as carriers of diseasecausing microbes. Housefly is one such carrier. The flies sit on the garbage and animal excreta. Pathogens stick to their bodies. When these flies sit on uncovered food they may transfer the pathogens. Whoever eats the contaminated food is likely to get sick. So, it is advisable to always keep food covered. Avoid consuming uncovered items of food. 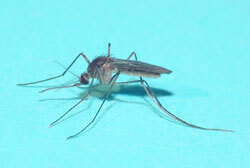 Another example of a carrier is the female Anopheles mosquito, which carries the parasite of malaria. Female Aedes mosquito acts as carrier of dengue virus. How can we control the spread of malaria or dengue? All mosquitoes breed in water. Hence, one should not let water collect anywhere, in coolers, tyres, flower pot etc. By keeping the surroundings clean and dry we can prevent mosquitoes from breeding. Try to make a list of measures which help to avoid the spread of malaria. Keep the patient in complete isolation. Keep the personalbelongings of the patient away from those of the others.Vaccination to be given at suitable age. Maintain personal hygiene and good sanitary habits. Consume properly cooked food and boiled drinking water.Vaccination. Hepatitis B Virus Water Drink boiled drinking water.Vaccination. Malaria Protozoa Mosquito Use mosquito net and repellents. Spray insecticides and control breeding of mosquitoes by not allowing water to collect in thesurroundings. Several microorganisms not only cause diseases in humans and plants, but also in other animals. For example, anthrax is a dangerous human and cattle disease caused by a bacterium. Foot and mouth disease of cattle is caused by a virus. Several microorganisms cause diseases in plants like wheat, rice, potato, sugarcane, orange, apple and others. 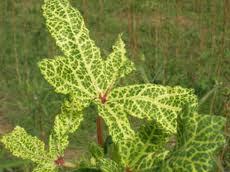 The diseases reduce the yield of crops.They can be controlled by the use of certain chemicals which kill the microbes. Boojho was invited by his friend to a party and he ate a variety of foodstuff. On reaching home he started vomiting.He had to be taken to a hospital. The doctor said that this condition could be due to food poisoning. Food poisoning could be due to the consumption of food spoilt by some microorganisms. Microorganisms that grow on our food sometimes produce toxic substances. 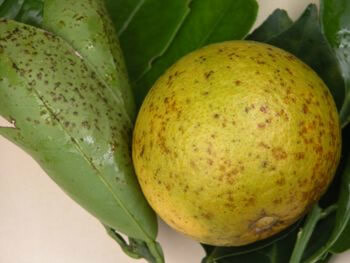 These make the food poisonous causing serious illness and even death. So, it is very important that we preserve food to prevent it from being spoilt. Microorganisms are too small and are not visible to the unaided eye. They can live in all kinds of environment,ranging from ice cold climate to hot springs and deserts to marshy lands. Microorganisms include bacteria, fungi, protozoa and some algae. Viruses, though different from the above mentioned living organisms, are considered microbes. Protozoans cause serious diseases like dysentery and malaria. Some of the microorganisms grow on our food and cause food poisoning.